I ordered and recieved my nestabilities from you and they got here today. I'm sooooo excited!!!!! I'm interested in some copic markers but I don't know where to start. Am I better off buying a set or chosing individual colors? I have Tombow markers and love them and was thinking of just getting some similar colours to what I have in those. What would a good set to start with be?? Love this Ellen.. So glad I am going down the list on my blog and looking at everyone's blogs this morning!! Spectacular! I'm vellum-challenged but really must try harder. 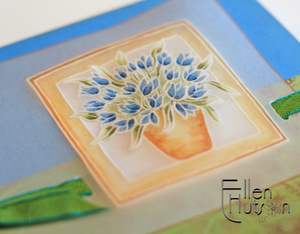 Beautiful card Ellen! You put such care and love into your work! It shows. How beautiful!! And what a great tutorial!! Thanks so much! TERRIFIC Tulips!! Your card is a work of art, I love it. This makes a wonderful SOTM Kit and I have to try to get it done since I have all of the supplies. TFS and inspiring. Wonderful wath a great artwork. oh, it's gorgeous! 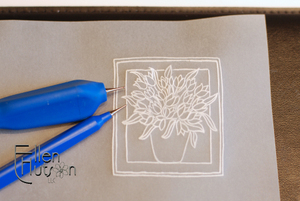 I keep thinking I need to try to combine my stamping with Pergamano--this is fabulous! 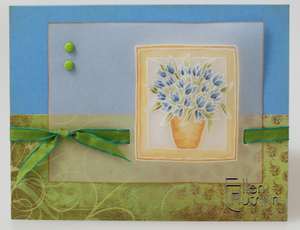 This is absolutely gorgeous, Ellen!! Great card Ellen. I love the technique too. TFS. ELLEN!!! *falls over* This is just about the most BEAUTIFUL thing I ever did see. 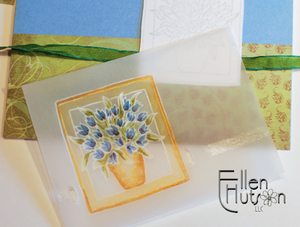 Gorgeous, Ellen, thanks so much for revisiting this beautiful artform -- I can't wait to try it! 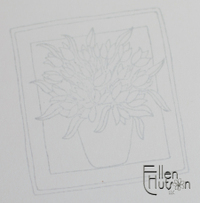 Oh Ellen - two things, One I am so jealous that you are seeing tulips, here in Maine we still have snow I mean it even snowed yesterday. They will come I know. 2nd - Wow and I'll say it again WOW what a beautiful card. Thanks for such a detailed description and great photos. Beautiful, just beautiful! Stunning. 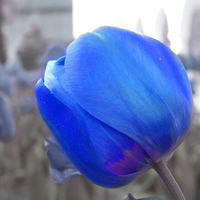 Really love the tulip image. Oh, Ellen! This is breathtakingly lovely! You've definitely inspired me tonight! Tulips and daffodils are the first signs of spring and they've already faded here in the deep south - BooHoo. I was hoping to visit the NW in April and see some of the tulip farms, but today we bought tickets for May and August. I'm ecstatic to have my flights booked, but hate that I'll miss the beautiful tulip season. 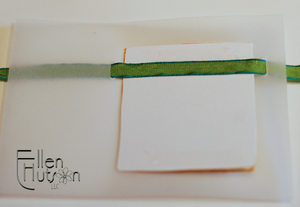 Thanks for the fun blogs, the beautiful projects, and the step-by-step tutorials. Wheee! I am so glad I checked early, but I never expected to see the April stamp of the month already! I can hardly wait! Beautiful card, so soft and lovely. Gorgeous! As usual, you have once again outdone yourself. Your colors and technique are awesome.